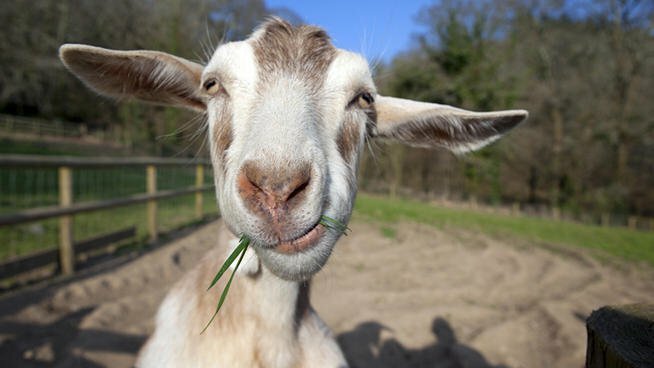 Google once rented Goats to cut down bushes and weed at their Headquarters ? California Grazing to do the job for us (we're not "kidding"). A herder brings about 200 goats and they spend roughly a week with us at Google, eating the grass and fertilizing at the same time. The goats are herded with the help of Jen, a border collie. It costs us about the same as mowing, and goats are a lot cuter to watch than lawn mowers. How far are you willing to reduce carbon emission ? will you consider owning one of this domesticated animals or a lawn mower, to do the weeding ?